The EMEA sales team of I.D. Systems a leading global provider of wireless fleet management solutions for forklifts and other industrial trucks introduces the brand-new 106 at LogiMAT in Stuttgart last week. A new class of industrial truck telematics platforms which can also secure & track construction heavy equipment. 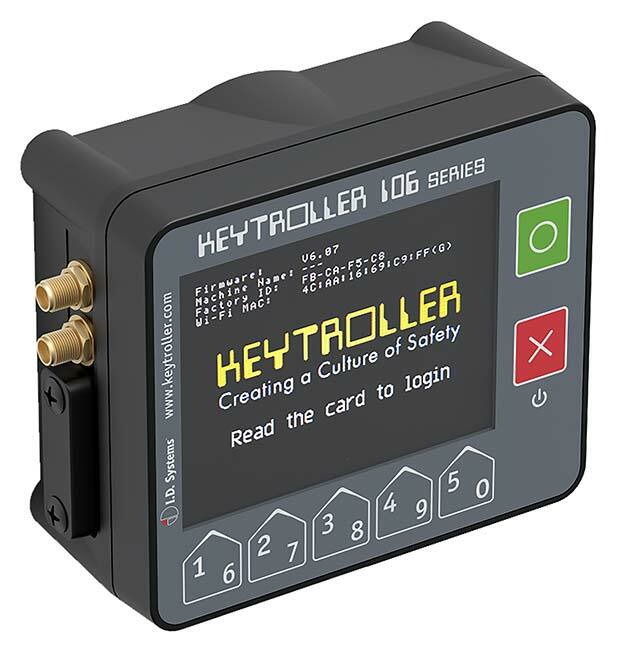 Developed by the Keytroller division of I.D. Systems, the 106 offers the perfect balance of features and cost to enable 100% forklift fleet visibility in even the smallest fleets in use in Manufacturing, Distribution, Logistics, and Retail centers. This new management solution offers a perfect blend of size, ease of installation, ease of use, and value. It does not require complicated IT support, as it operates over a Bluetooth direct connection to an iPad or iPhone. Upgrades to multi-site WiFiconnected systems will be available. Now site managers at warehouse, manufacturing, distribution and retail environments can know that only certified operators are using their equipment, document that they have completed required safety checklists, and keep track of how their equipment is operated. Peace of mind at an affordable price – that’s the 106. The 106 will be commercially available, in volume, in early summer.